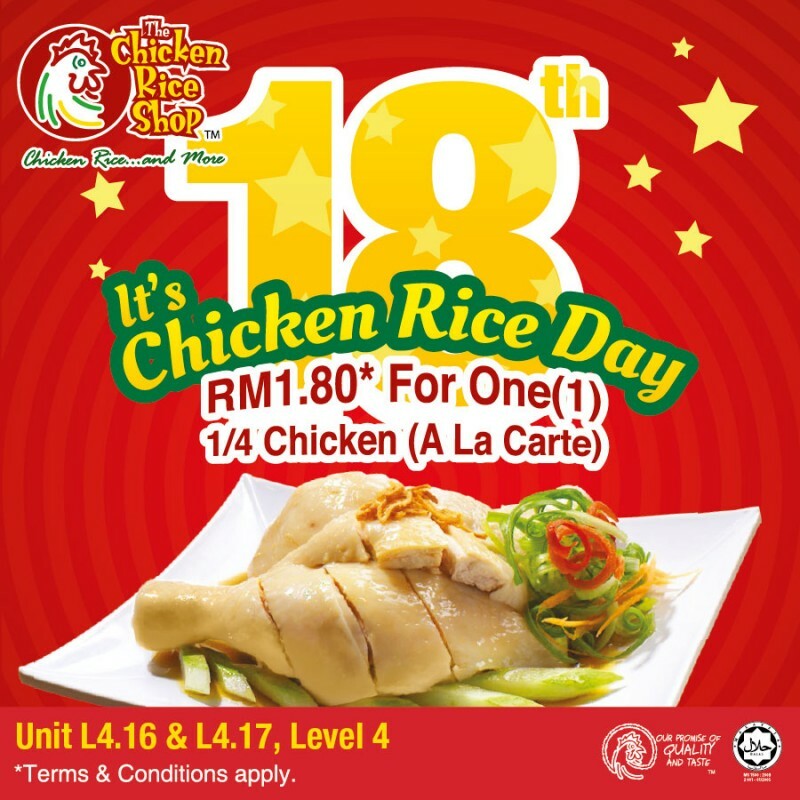 Let's celebrate Chicken Rice Day together with your family and friends on the 18th of the month! RM1.80 at The Chicken Rice Shop! Visit any outlet near you to enjoy this amazing deal!